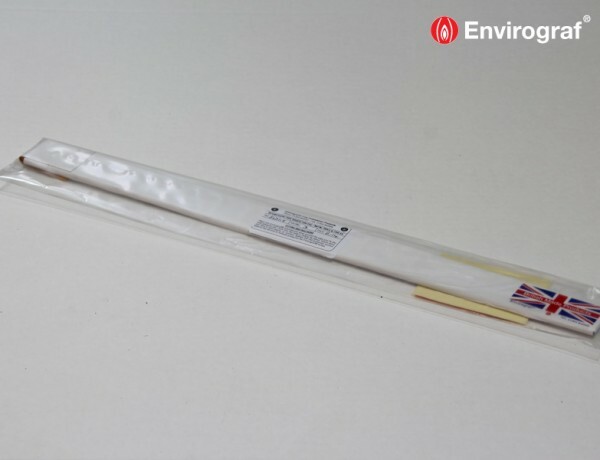 A strip of intumescent material clad in foil which can be cut to size and wrapped around any type of pipe or cable, providing an effective fire stopping barrier. Available in a wide range of sizes, or in a 10m continuous roll form which can be cut to any size. Wrap comes in a 10m roll and must be cut to size and applied in layers. 1 layer for 15-65mm diameter pipe, 2 layers for 75-127mm diameter pipe, 3 layers for 160mm-200mm diameter pipe. This product is used for filling up openings or to use around existing services, offering up to 2 hours’ protection. Tested to BS476 Parts 20/21/22 (1987) on sealing penetrations of various pipes passing through different types of floors and walls, achieving integrity results of up to 249 minutes.